Stainless Steel 321 Square Neck Bolts Suppling at Jordan, SS UNS S32100 Stud Bolts, Stainless Steel 321 Spring Washers, SS 321 Self Tapping Screw, Stainless Steel 321 T-Head Bolts Suppling at Poland, SS 321 Threaded Rods Manufacturing at France, SS 321 Fasteners Supplier & Exporter in Mumbai India. Alpha Overseas manufactures and trades SS 321 Fasteners, where maximum stabilization is accomplished by annealing between 1750 Degree F and 1850 Degree F. Alloy 321 Fasteners is the grade of choice for applications in the temperature range of up to about 900 Degree C, combining high strength, resistance to scaling and phase stability with resistance to subsequent aqueous corrosion. While Grade 321 Fasteners continues to be employed for prolonged service in the 800 Degree F to 1500 Degree F temperature range, Type 304L has supplanted this stabilized grade for applications involving only welding or short time heating. Type 321 Fasteners displays good oxidation resistance at elevated temperatures has excellent resistance to intergranular corrosion and has excellent weldability. Even more effective way against carbide precipitation is addition of Titanium (Ti) to AISI 321 Nuts Bolts to “stabilize it”. 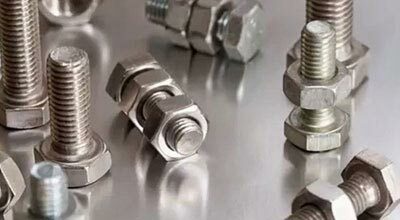 321 Stainless Steel Fasteners is used primarily in applications involving continuous and intermittent service temperatures within the carbide precipitation range of 427 Degree C – 816 Degree C.
Stainless Steel 321 Hex Nut Suppling at Germany, SS DIN 1.4541 Allen Cap Screw Suppling at Indonesia, ASTM A193 SS Threaded Stud Manufacturer, Stainless Steel 321 Hexagon Nut, SS 321 Hex Domed Cap Nuts Manufacturing at Tunisia, Stainless Steel 321 Hex Head Screw Manufacturer & Stockist in Mumbai, India. Stainless Steel 321 Nuts is not subject to weld decay (intergranular corrosion) when exposed to mildly corrosive environments. 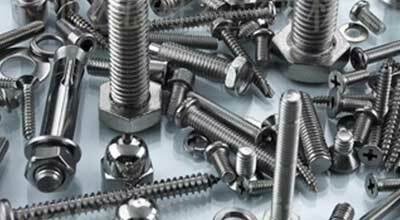 Stainless Steel 321 Bolts is similar to type 304 stainless but with a titanium addition of at least five times the carbon content. Stainless Steel 321 Washers is also advantageous for high temperature service because of its good mechanical properties. The carbon in Stainless Steel 321 Screws is more attracted to the Titanium (Ti) and therefore it leaves the chromium alone. We are Exporter of Stainless Steel 321 Fasteners in Worldwide Such as Gambia, Mexico, Nigeria, Greece, Qatar, Belarus, Australia, Sri Lanka, Estonia, Morocco, New Zealand, Argentina, Mongolia, Hungary, Malaysia, Romania, Belgium, Kuwait, United States, Afghanistan, Tibet, Nepal, Canada, Saudi Arabia, Namibia, Norway, Zimbabwe, Chile, Iran, Poland, Kenya, Brazil, Macau, South Korea, Croatia, Egypt, Philippines, Thailand, South Africa, Germany, Libya, Puerto Rico, United Kingdom, Russia, Chile, Sweden, Bulgaria, Indonesia, Israel, Azerbaijan, Bangladesh, Angola, Italy, Finland, Denmark, Peru, Trinidad & Tobago,Tunisia, United Arab Emirates, Iraq, Gabon, Ecuador, Lebanon, Serbia, Bahrain, Colombia, Oman, Yemen, Netherlands, Bhutan, Slovakia, Lithuania, Vietnam, Algeria, Bolivia, Poland, Czech Republic, Spain, Singapore, Nigeria, Switzerland, Costa Rica, Austria, Pakistan, Jordan, Portugal, Japan, France, Ireland, Taiwan, Iran, China, Turkey, Kazakhstan, Mexico, Venezuela, India, Ghana, Hong Kong, Ukraine. We are Suppliers of Stainless Steel 321 Fasteners in India Such as Geoje-si, Rajkot, Ahmedabad, Dallas, Calgary, Lahore, Ulsan, Ernakulam, Kuwait City, Sydney, Nashik, Cairo, Istanbul, Santiago, Madrid, New York, Pimpri-Chinchwad, Howrah, Navi Mumbai, Mexico City, Brisbane, Toronto, Hyderabad, Abu Dhabi, Muscat, Al Jubail, Dubai, La Victoria, Indore, Bengaluru, Perth, Visakhapatnam, Ahvaz, Tehran, Thane, Courbevoie, Milan, Ludhiana, Dammam, Ho Chi Minh City, New Delhi, Bhopal, Noida, Secunderabad, Hong Kong, Al Khobar, Surat, Los Angeles, Granada, Jeddah, Nagpur, Hanoi, Seoul, Port-of-Spain, Houston, Atyrau, Faridabad, Ranchi, London, Petaling Jaya, Chiyoda, Gurgaon, Bogota, Singapore, Chandigarh, Lagos, Baroda, Gimhae-si, Ankara, Thiruvananthapuram, Kuala Lumpur, Moscow, Karachi, Jakarta, Kanpur, Doha, Edmonton, Jaipur, Busan, Colombo, Rio de Janeiro, Pune, Vung Tau, Haryana, Chennai, Montreal, Coimbatore, Aberdeen, Kolkata, Manama, Bangkok, Melbourne, Vadodara, Jamshedpur, Caracas, Sharjah, Algiers, Mumbai, Riyadh.